Vehicle maneuverability is reduced when 4WD modes are engaged as the front and rear axles are directly connected through the transfer case. This makes it very difficult to use the vehcile in low range except in straight lines or slippery conditions. 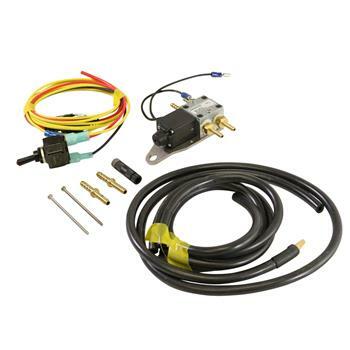 The BD 2Low Unloc Differential Kit allows the operator to disable the front wheel drive mechanism while full torque is available to the rear wheels. This allows for sharp full-lock turns without the front axles hopping or binding. When the 2Low Unloc is turned on, the front wheels will NOT be driven delivering normal two wheel drive maneuverability while in low range which is very helpful for backing up trailers, and other special maneuvers.